The first issue of the new Star Wars comic series, centered on bridging the gap between Episode VII and VIII, tells the story of Captain Phasma’s survival after the destruction of Starkiller, and his struggle and redemption to maintain his reputation within the First Order. 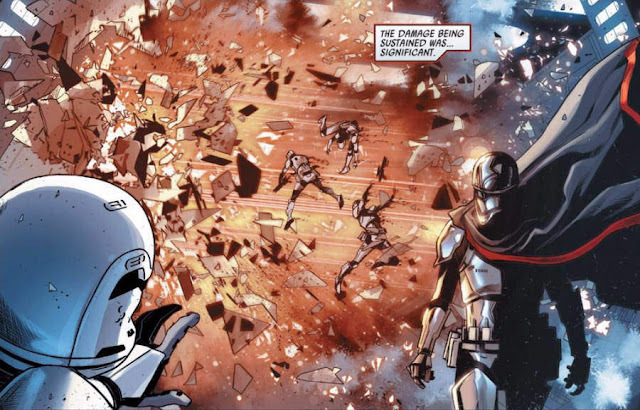 The last time the viewers could see the villain in “The Force Awakens,” the stormtrooper commander was about to be thrown in the garbage dump of the base, after having been forced to lower the defenses for the Resistance. At the moment it was not known how he had survived the destruction of the planet, but it seems that he have to thank the rebels for his release.